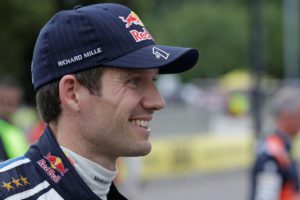 Sébastien Ogier/Julien Ingrassia could be crowned world champions with Volkswagen for the fourth time in a row at their home event in the FIA World Rally Championship (WRC). And it could happen despite still having three rallies to come after the French round. 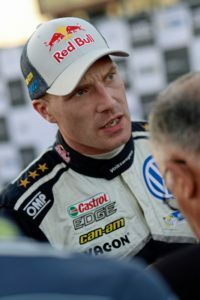 To have any chance of converting their first “match point”, and drawing level with rally legends Juha Kankkunen and Tommi Mäkinen on four world championship titles, the current championship leaders must win at the Rally France on Corsica (29/09–02/10/2016). At the same time, however, they would also be dependent on other results going their way. As it stands, seven driver/co-driver duos are still in with a mathematical chance of winning the world championship, including all three crews in the Polo R WRC. 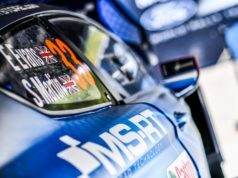 The possible connotations mean it is well worth following the action at the Rally France on Corsica, which is also known as the “Rally of 10 000 Corners” – as do the ten special stages on rough, sometimes crumbly asphalt, which amount to a spectacular 390.92 kilometres against the clock. … Sébastien Ogier/Julien Ingrassia. What could be better than winning your home round of the World Rally Championship? That’s obvious: winning and being crowned world champions there. If Ogier/Ingrassia are to win the Driver and Co-Driver titles for the fourth time with races still to come, then victory in France is an absolute must. Second place will not do. At the same time, their rivals – six of which are still mathematically in contention – must largely leave Corsica empty-handed. 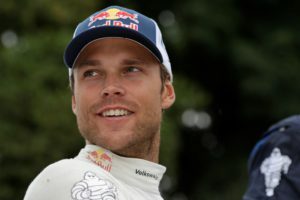 … Andreas Mikkelsen/Anders Jæger and Jari-Matti Latvala/Miikka Anttila. The two Volkswagen duos are dependent on different circumstances if they are to keep their hopes alive. 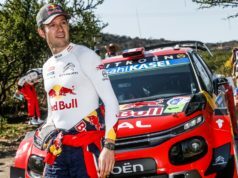 Should Mikkelsen/Jæger finish eighth or higher, they would take the battle into Spain. Should the French duo win the rally, then victory on the closing Power Stage for the Norwegians would also keep their dreams alive. Hayden Paddon/John Kennard and Thierry Neuville/Nicolas Gilsoul would have to finish at least second in Corsica, and come no lower than second on the Power Stage, to prevent Ogier/Ingrassia celebrating the title in France – provided the championship leaders score maximum points. All the other driver/co-driver duos must simply lose as few points as possible to the leaders, or preferably gain as much ground as possible, in order to keep the championship open. Should Latvala/Anttila drop no more than three points to Ogier and Ingrassia, they will remain in the title race.